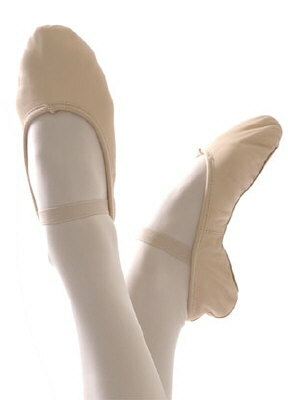 Ballet shoes, or ballet slippers, are lightweight shoes designed specifically for ballet dancing. 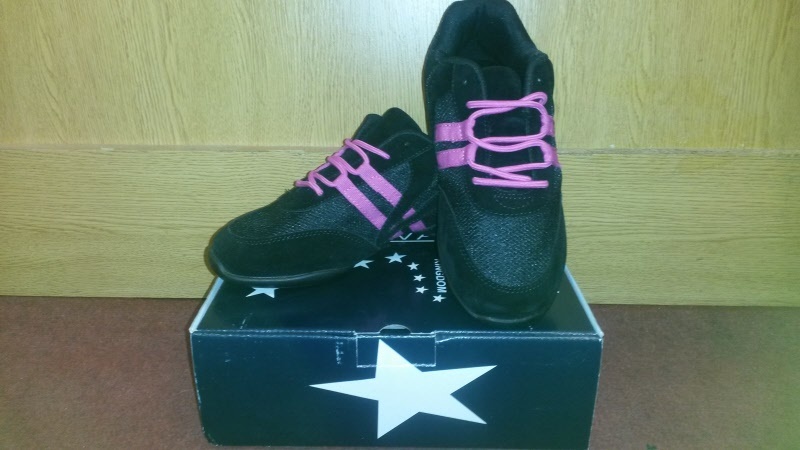 They are made from soft leather, canvas, or satin, and have flexible, thin soles. Ballet shoes are typically available in pink, black, or white. Traditionally, women wear pink shoes and men wear white, while flesh or tan colored shoes—which are unobtrusive and thus give the appearance of dancing barefoot—are worn by both men and women. Beginning ballet dancers, and ballet dancers younger than approximately twelve years old, wear ballet shoes exclusively while training and performing, whereas more advanced female dancers may wear ballet shoes or pointe shoes as circumstances require. Young dancers are typically restricted to ballet shoes until their bones are ossified and their muscles are sufficiently strong to dance en pointe. 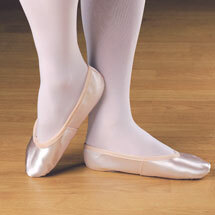 Male dancers almost always wear soft ballet shoes, as they rarely dance en pointe.